KSRealityBites: World's first cloned goat! You might have known about many researches on cloning but this one is among the tough ones! 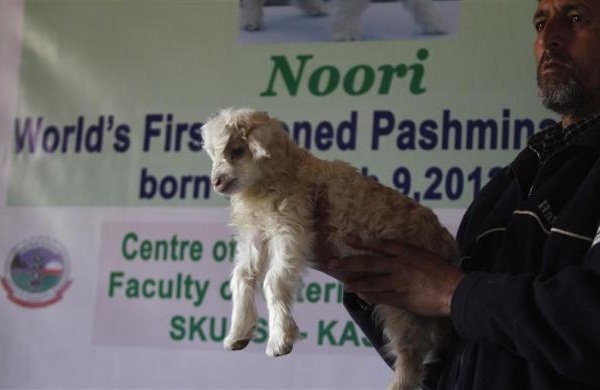 Six scientists & three researchers from the Sher-e-Kashmir University of Agriculture Science & Technology (SKUAST) have created a clone of the Pashmina, a rare Himalayan goat after three years of difficult study. The cloning is first of its kind in the world. This female laboratory goat has been named as 'Noori', which means light in the local dialect & Arabia. Noorie took birth on March 9, 2012 & it has gained a weight of 500 grams & is now in good health condition. Dr Riyaz Ahmad Shah of SKUAST's department of Animal Biotechnology & the lead researcher of this study said, "This is a great scientific achievement in the field of veterinary sciences. 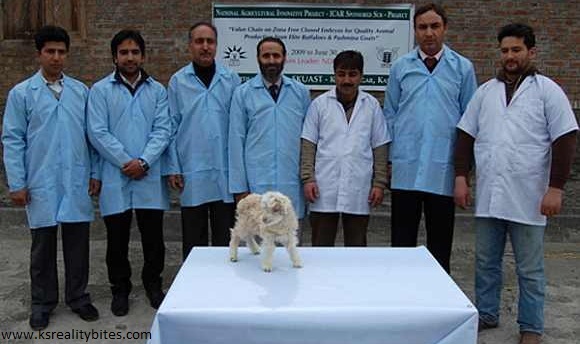 This is the first cloned Pashmina goat in the world. This scientific development is very much important for economic development of the state." Kashmiri woolen wearing or products are a major source of income for the residents of this hilly state. Most of the family's main source of income is to sell Kashmir woolen wearing. Pashmina wool, drawn from the Pashmina goats is the main item to make these wearing. Hence, this cloning would provide a huge opportunity to get the Pashmina wool. Pashmina goats have started to become a rare species, this artificial creation of the animal would support business. Dr. Shah also hopes to clone for other threatened species in the coming days. He was a part of the team at the National Diary Research Institute, Karnal which had first cloned a buffalo calf, 'Garima' in 2009. India has again proved that it is not lagging behind any other developed country. May it be veterinary science, technology or laboratory creation of living organisms, the country has proved in every sphere!